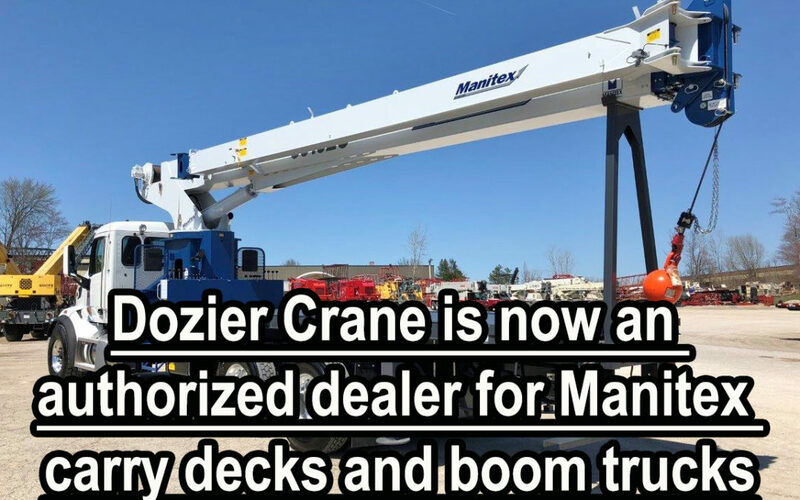 Manitex International, Inc. (NASDAQ: MNTX), a leading international provider of cranes and specialized industrial equipment, today announced the expansion of its boom truck distribution network to include Dozier Crane & Machinery, Inc. headquartered in Pooler, Georgia. Effective immediately, Dozier Crane & Machinery joins the network of industrial equipment dealers who are supporting Manitex products throughout North America and abroad and has placed initial stocking orders for retail distribution of Manitex boom trucks. Dozier Crane is a full-service crane sales and rental company with a 40-year history of servicing the equipment retail and rental industry, with a focus on high-quality products and service. Manitex International, Inc. is a leading worldwide provider of highly engineered mobile cranes (truck mounted straight-mast and knuckle boom cranes, industrial cranes, rough terrain cranes and railroad cranes), truck mounted aerial work platforms and specialized industrial equipment. Our products, which are manufactured in facilities located in the USA and Europe, are targeted to selected niche markets where their unique designs and engineering excellence fill the needs of our customers and provide a competitive advantage. We have consistently added to our portfolio of branded products and equipment both through internal development and focused acquisitions to diversify and expand our sales and profit base while remaining committed to our niche market strategy. Our brands include Manitex, PM, Oil & Steel, Badger, Sabre, and Valla. The company also has a minority ownership in ASV Holdings, Inc. which manufactures and sells a line of high-quality compact track and skid steer loaders.